Perhaps the vaccine-aware population needs to take a close look at these proposals before they put their time, money or hope into them. Unfortunately, there is a CDC agenda in motion today that most parents are unaware of called Healthy People 2020. Their goal is to greatly increase vaccination rates in all states and in all age groups. Legislatures have been eliminating school vaccine exemptions across the country. Many times they are motivated by the availability of federal grants. This trend is extremely unlikely to stop, therefore people could relocate to a new state only to face the same problem in the future that the folks in California are facing right now. There are a few people (or children) who cannot tolerate vaccines due to certain medical conditions or allergies. Physicians have written medical waivers exempting them from vaccination requirements. However, this practice is closely monitored and highly scrutinized. Physicians today are being subjected to more and more pressure to get all patients in their practices “fully vaccinated” and are rewarded for doing so with higher reimbursement rates per visit. In fact doctors are now being asked to have parents sign Refusal to Vaccinate forms and told this form protects the doctor from being sued should a patient suffer serious illness or injury from an infectious disease that a vaccine has been developed for. It is very unlikely that physicians will provide medical exemptions except under very specific conditions for doing so could threaten their careers. a) When the media is tightly controlled as it now is, getting the truth out about ANY issue on a large scale is almost impossible. Scientists knowledgeable about vaccine dangers and falsehoods are rarely invited as “experts” to offer their research/facts. Getting a large portion of the public educated enough to support a referendum will be no small task. Big Pharma spends millions in advertising and can withdraw their business from any media outlet that discredits their claims regarding pharmaceuticals. Some folks are seriously considering filing a lawsuit, though they have not made it clear yet exactly who they wish to sue and on what grounds. It is important that before proceeding with extremely costly litigation people review the authority the so-called government is claiming over their children. See: Parens Patriae and mandatory vaccinations. It is naive to think that legislators and Governors would eliminate parental choice regarding vaccinations without reviewing their authority to do so. They all seek and get legal advice from the Attorney General of each state before they sign-on to any legislation or policy. In 2014 a Federal Judge tossed out three lawsuits based on the parent’s presumed Constitutional rights not to vaccinate their children. See: Judge tosses out three religious exemption claims. In light of the recent adoption of Common Core across the country, home schooling is the best way to protect children from vaccines AND the psychological assault that the Common Core curriculum was designed to administer. Before making any decisions as to the best way to protect their children from vaccine mandates, parents need to watch Dr Duke Pesta’s presentation on Common Core. It is quite shocking to discover what has been done to our schools behind our backs. The hot potato regarding vaccines is the issue of liability, i.e. who will pay for any injuries or losses the vaccine might cause. Since the passage of the Vaccine Injury Compensation Act (1986) and the Bruesewitz v. Wyeth Supreme Court decision (2011) all parties implementing the vaccination program in the UNITED STATES have been unlawfully granted a liability exemption. Their exemption puts the burden of caring for a vaccination victim onto the family. The only way to alter this outrageous situation is to submit a notice to the ‘party requiring the vaccination’, refusing the liability . . . in writing. The use of a vaccination notice puts indisputable facts on the record and demands that the party initiating the vaccine requirement either accept the liability (in writing) or waives the requirement completely. It is extremely unlikely that when so much money has been spent getting out from under the liability regarding vaccine injuries, that any of the parties involved will take it back. Their attorneys will most assuredly advise them not to. Essentially the legal notice creates a catch-22 in that the parent (employee or student) agrees to comply with the vaccination requirement, but refuses to accept the liability. Since both mandatory vaccinations and compulsory schooling violate the Bill of Rights, it should be obvious to most that the US Constitution is NOT the law of the land today. None of the so-called government agencies (such as the CDC) are Constitutional either. They represent the unlawfully created administrative branch of the so-called government. The public is never told that since 1933 the UNITED STATES has been kept in a “state of emergency” by its Presidents, who renew it each year. During a state of emergency the normal functions of the Constitution are suspended and the President (through 450 federal agencies) exercises vast power via Executive Orders and Presidential Directives, etc. This FACT was well researched and reported in Senate Report 93-549 in 1973. The latest ongoing bogus national emergency declared by the White House is the War on Terror. It was during this permanent state of emergency that our legal system was covertly altered (by members of the BAR to eliminate Constitutional and Common Law) and transformed into admiralty/maritime/statutory law. 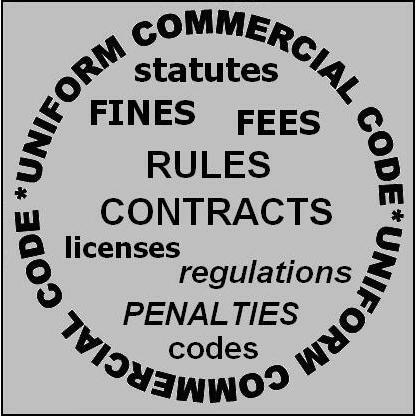 The Uniform Commercial Code (the law of contracts) has now been adopted in all 50 states. While most BAR attorneys aren’t taught how/when this transformation occurred (see: Who’s Running America and/or attorney Melvin Stamper’s book Fruit from a Poisonous Tree), they all know that there is nothing Constitutional about mandatory vaccines for imaginary pharmaceutical disease-prevention. As the UCC (law of contracts) is now the ‘law of the land’, it is only through the understanding of this legal construct that a lawful strategy for refusing mandatory vaccinations can be found. The more people who are willing to look closely at these realities, the more will start using a denial of consent vaccination notice to protect themselves and their children. 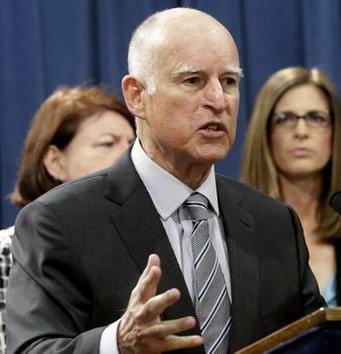 This entry was posted in Government, vaccine and tagged california, jerry brown, legal system, patient rights, vaccines. Bookmark the permalink. I think the referendum offers the best chance of repealing this horrifying law. Although the mainstream media HAVE certainly been hijacked by the pharma companies, there are thousands of Californians who are being trained to take their signature forms to the street and engage with Californians one-on-one to explain to them what a really bad idea this is for everyone except those who are going to make a ton of money off of it. An administrative court will enforce statutes on your legal fiction strawman. Must prove you are the real party of interest of your birth certificate legal title by authenticating your birth certificate. There are two sides of the coin. The opposite side is to prove who ‘they’ are not. Don’t agree. You must declare yourself a flesh and blood living man or woman, thus exempted from their statutes that are written for legal fiction “persons”.